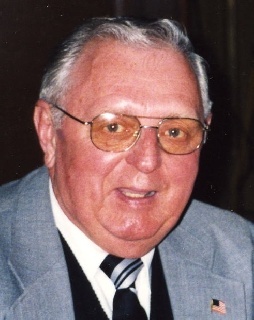 Walter E. “Wally” Jaskierski 78, of St. Clair passed away Tuesday evening at the Shenandoah Senior Living Community. Born in Frackville he was a son of the late Edmund Jaskierski and the late Lottie Tokarczyk Jaskierski. He was a graduate of Frackville High School. Wally was an Air Force veteran and served with the field maintenance of the 379th Bombardment Wing. He was a member of St. John the Baptist Polish National Catholic Church, Frackville; a lifelong member of St. Clair Fish and game, and a member of the American Legion Post #398, Frckville, B.P.O. Elks Lodge #1533, Frackville, and the Masonic Lodge, Pottsville. He worked for Purolator Courier for 25 years and last worked as a driver for R&R Auto, Schuylkill Haven; he previously delivered lottery tickets for the Pennsylvania State Lottery. He was known to be a handy man willing to help anyone that needed something fixed, especially cars. He enjoyed Polkas and attended Polka weekend at the beach. He also liked going to Seven Springs Resort and was an avid Philadelphia Phillies and Eagles fan. He is survived by his wife or 54 years Dorothy Plachko Jaskierski, St. Clair; a son Stephen Jaskierski, and wife Marie, Frackville; a daughter Linda Jones Jaskierski and companion Robert Santangelo, St. Clair; a grandson; Carl Brown; a sister Elaine Antalosky, Frackville; nieces and nephews. Relatives and Friends are invited to call from 6 to 8 p.m. Monday evening at St. John the Baptist Polish National Catholic Church, Frackville. Prayer Service will be held at 8:p.m. by Rev. Robert Plichta, pastor. Interment will be at the convenience of the family.